It’s part of your great plan. And what that voice will say. I CAN Portfolio Pages are simple skill tracking sheets that I use to help students set personal goals and track their progress. It builds assessment into lessons and allows for a lot of flexibility in planning. I have found as I plan lessons using these I CAN portfolio pages helps me focus my planning on the learning targets/standards and have differentiation already built in. My students are grouped with Kindergarten on their own but my first and second grade students are in a multi-age grouping. I have one set of I Can Pages on a clipboard for each class. I am constantly assessing as I teach and can easily make notes on this set I keep going all year long. I can go back later and initial (EGB always in purple - K-8) anything I see in the boxes on each child's individual sheet. In second grade students get their set in a portfolio and begin shading in anything I have already initialed with the designated color for this age span (yellow). 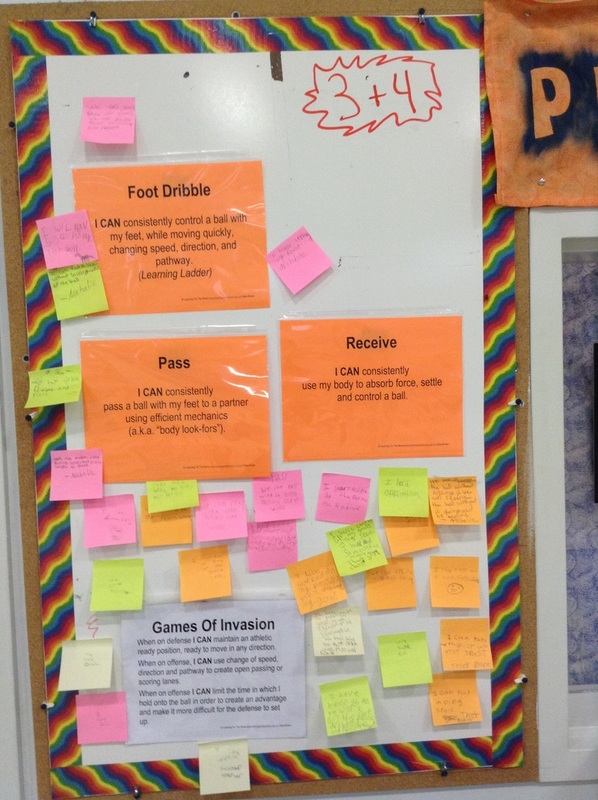 Then as we work through lessons students can begin learning to identify their own learning targets. They can also choose to come show me something they believe they CAN do. I can initial in their portfolio and they can color. This creates a method of goal setting, promotes content literacy and is a tangible record of achievement that is meaningful to the student. This method of tracking helps create a visual image of their skill development and allows them to see what they have achieved over time. There isn't much that tops watching as students run to me saying, "Look what I can do!" The elementary pages designed for grades 3 through 5 have the added element of Personal Records or PR's. Students work individually or alone to beat personal records as they work on mechanics or increasing accuracy, force production or consistency. The links below provide I Can Pages I have developed so far in .pdf format. I can single pages are a revise form of the Portfolio Pages that I use when mapping a unit with students on chart paper. I have a set of the I CAN pages in plastic sleeves so I can pull them out when I want to use them for instruction to the whole group, centers or stations. Click on the link to download them in pdf format. 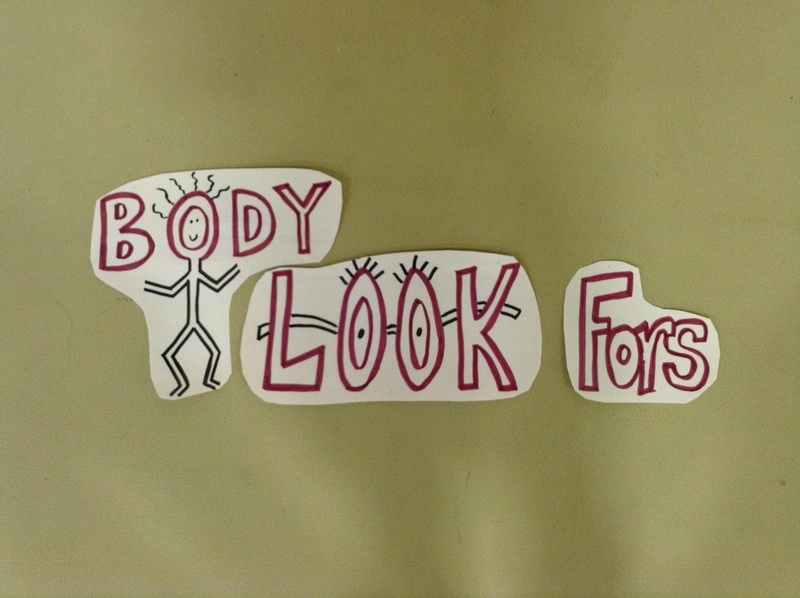 A big part of "I CAN" statements for elementary age school children involves what we call the "Body Look-Fors." They are working to create moving pictures with all the "Body Look-Fors" (correct mechanics or critical elements) as they move. 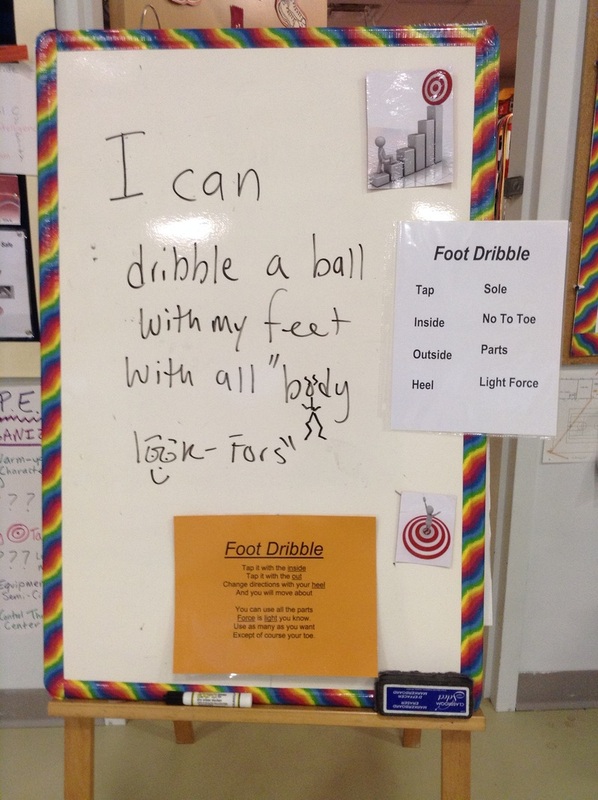 Posting a fun rhyme that includes the "Body Look-Fors" and a PE vocabulary list to use with both connecting and reflecting provides a number of ways to get kids thinking about learning in physical education. 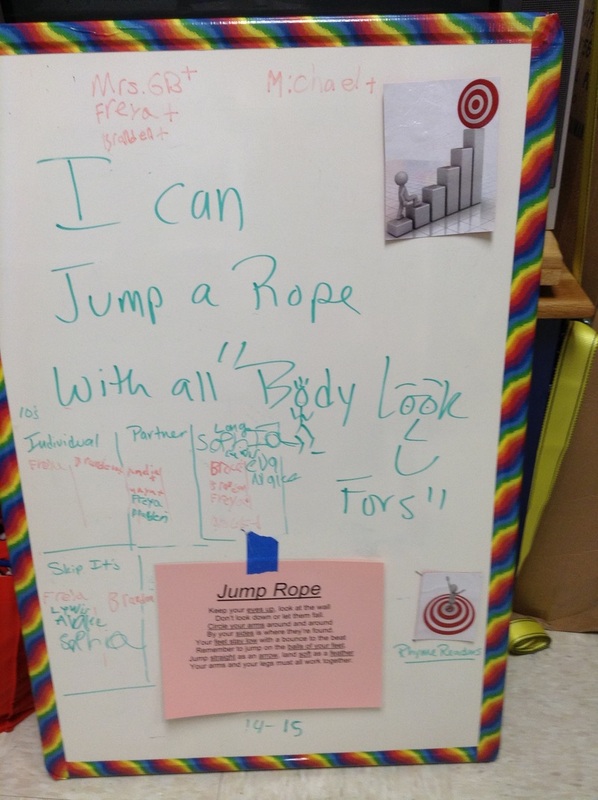 Another way to have students continuously connect with learning target - Make10 - With a variety of jump rope centers set up for students to choose with their partners for the day first and second grade students can choose to write their names in when they are able to jump 10 in a row at the various centers.